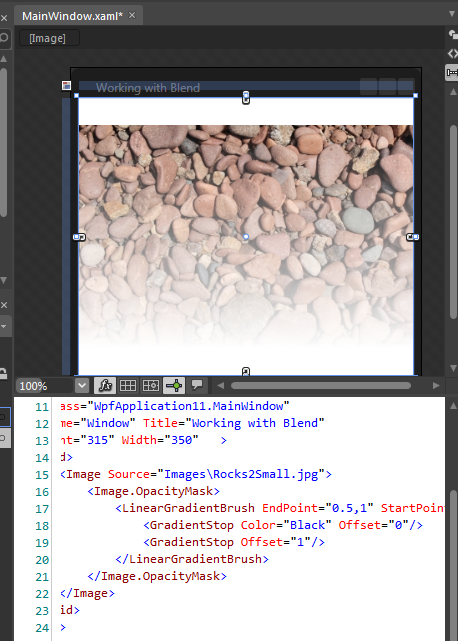 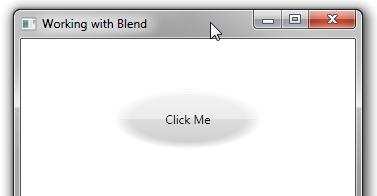 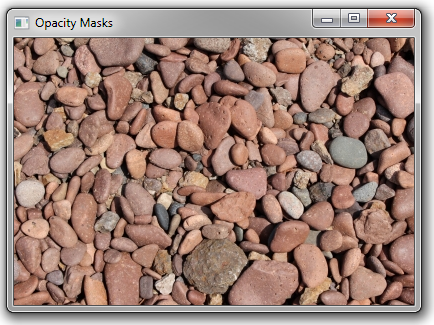 An Opacity Mask allows you to set an opacity for a user interface element that is based on a brush, rather being a single opacity value that is applied to the entire element. 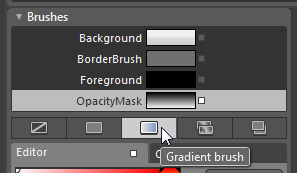 For example, instead of setting a single value for the Opacity of an Image control, you can use a gradient brush as its opacity mask, so that one side of the picture fades out. 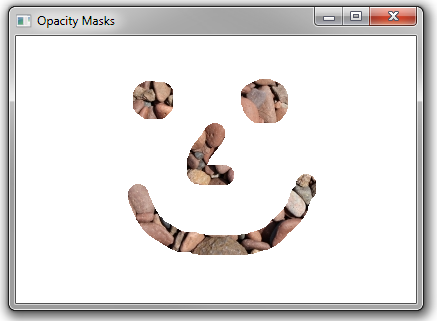 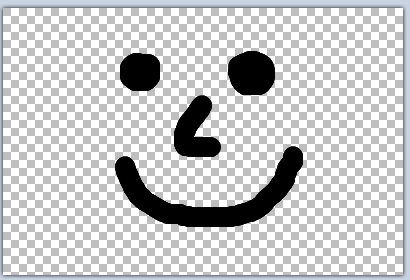 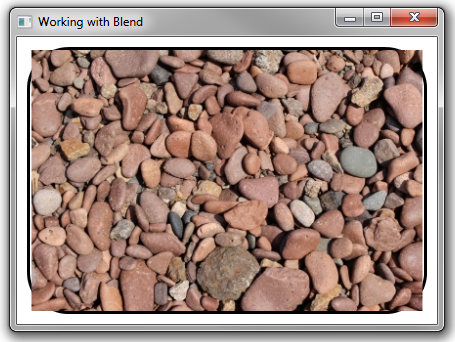 We start with a simple Image with a default Opacity (100%). 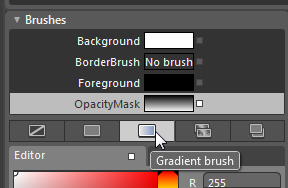 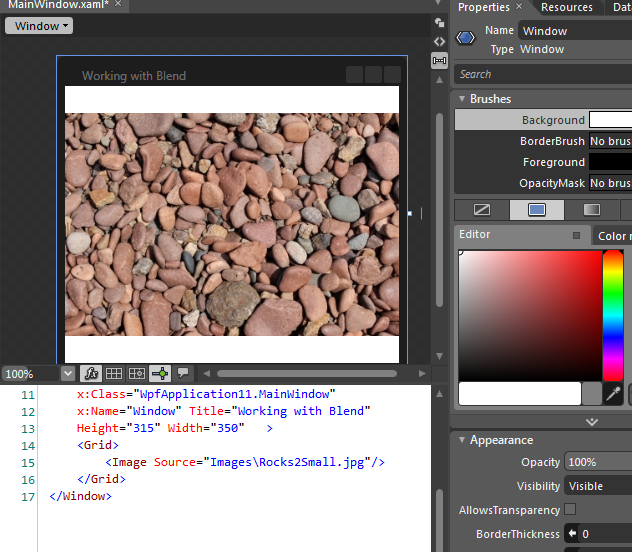 We then select the OpacityMask property of the Image and select a gradient brush. 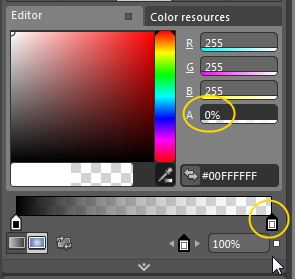 We then set the alpha channel of the ending gradient stop to 0 (fully transparent). 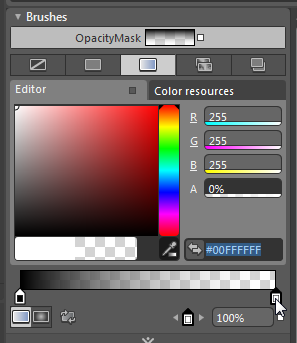 Now we have a gradient that goes from solid black to fully transparent.